And how cute are those sticky notes? Thank you! Hehe yeah ikr! I thought the little kittens were so adorable haha I bought another pack for myself but couldnt bear to use them! Reblogged and entered for you hun :) good luck everyone! Great items for a giveaway! I imagine they will! 😊 I can’t wait to find out who won those amazing giveaways! 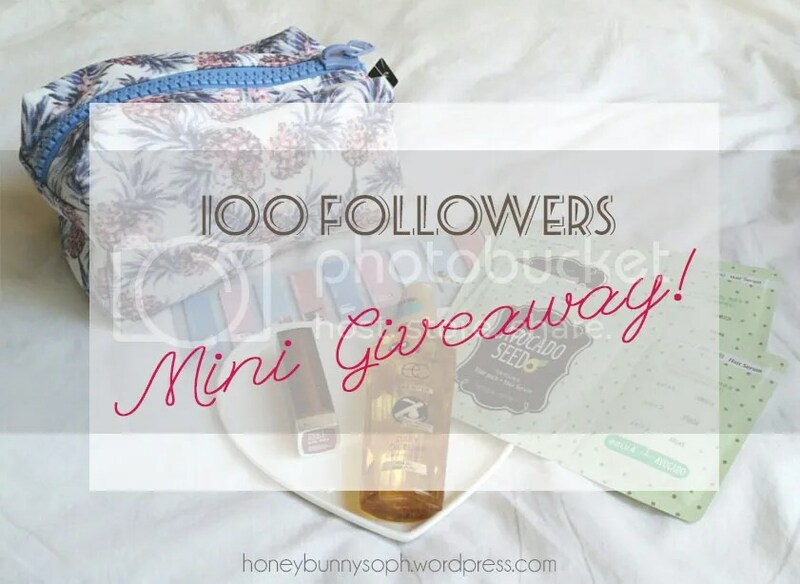 Congratulations on 100 Followers and what amazing products for a giveaway! Nice little giveaway Kaui From Maui is holding! Whoops I meant honeybunnysoph! My bad. I found the button to like the post! I am following on wordpress and I’m not too sure how to reblog so I’ve shared the post on twitter! Reblogged this on Maelin Cheung Divison One. Aww what a lovely giveaway! Hello! I’ve contacted the winner and as stated in my post I will announce who the winner is after finalising the details :) Thanks for checking back love!